New Look got in touch recently about some of the key trends in the Inspire plus size range right now. New Look Inspire do sizes 18-28 primarily, with certain styles up to a size 32. 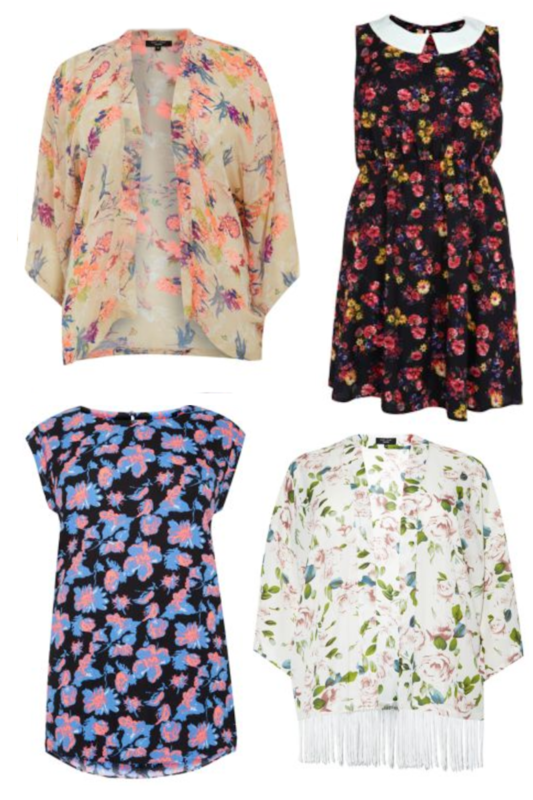 Some of the things which are really hot right now are florals, monochrome and little black dresses. They're timeless and will remain wardrobe staples indefinitely, so you can invest in them now without worry of them falling out of favour later. No trend is just for slimmer ones amongst us - us plus size people can rock all the good stuff too! New Look provided me with two items to review. 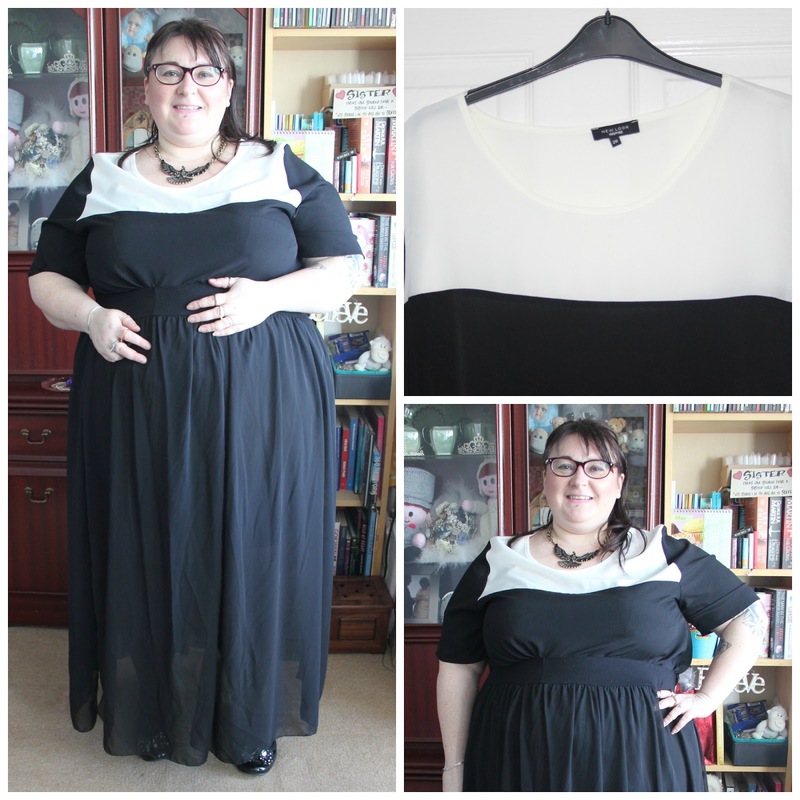 I chose the black contrast panel longline tunic because I love monochrome, and the black spot mesh neck skater dress because you can never have too many little black dresses. The tunic is a lovely lightweight slinky material which feels really nice to wear. It has no stretch, so size up if you prefer a loose, flowing top. It's so lightweight it'll be the perfect item to include in your suitcase for a holiday this year - it'll take up barely any room and will wash and dry quickly. I love monochrome because you can accessorise black and white with loads of bright colours and it looks effortlessly great. The top looks great over jeans, and also feminine and floaty tucked in under a maxi skirt. 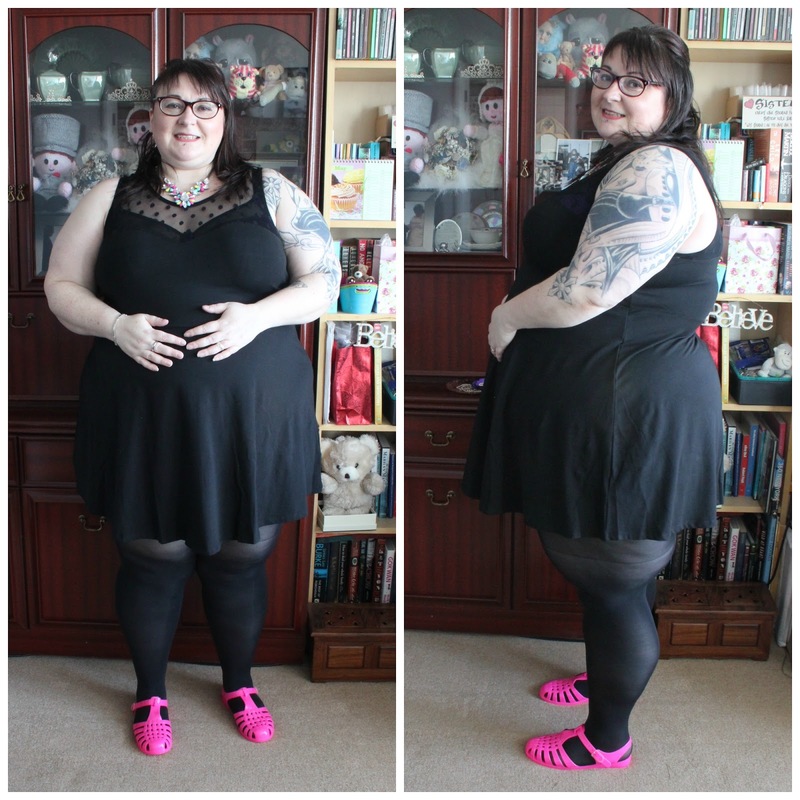 The dress is a lovely soft stretchy material (the dobby mesh is also really soft and stretchy, not itchy at all) but it is very short on me. I'm 5ft 5 and it comes just below my bottom, so do bear that in mind, taller ladies. It comes up to a size 32 and I wish I'd sized up to have a little more length. I'm wearing it dressed down with tights and jellies here but would normally wear it with leggings to protect my modesty. The dress would really suit well to being dressed up as well. I'd wear it with a long tasselled kimono and lots of bling! Here I've added a cropped cardigan to match my jellies and to break up the black on my top half. Here are some of the other items I'm lusting over from Inspire at the moment. Have you seen anything you like here? What's your favourite trend out of florals, monochrome and little black dresses? Thanks for reading and thanks to New Look for sending me the items to review. 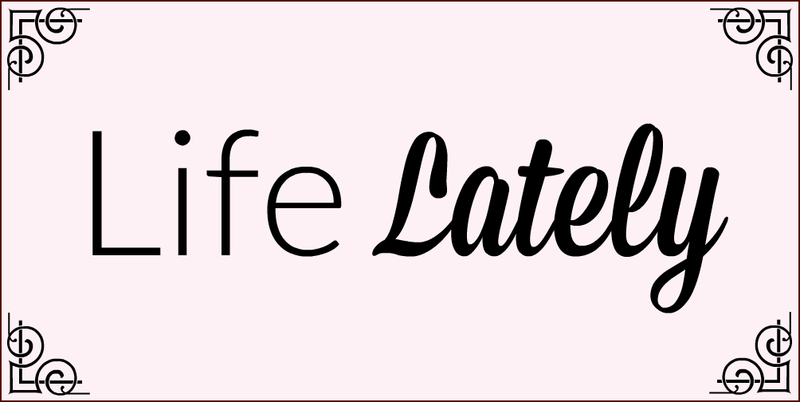 If you've been reading my blog a while you'll know half my wardrobe is from New Look, so it was a pleasure to be asked to review some pieces. *Items provided for review, all opinions my own.